He also put in what is really Hastings Old Town's most exceptional restaurant, at the back: fresh fish and local produce, barely fussed with, and utterly delicious. We're sharing this now to entice you to make a day trip to Hastings (although we certainly encourage that! 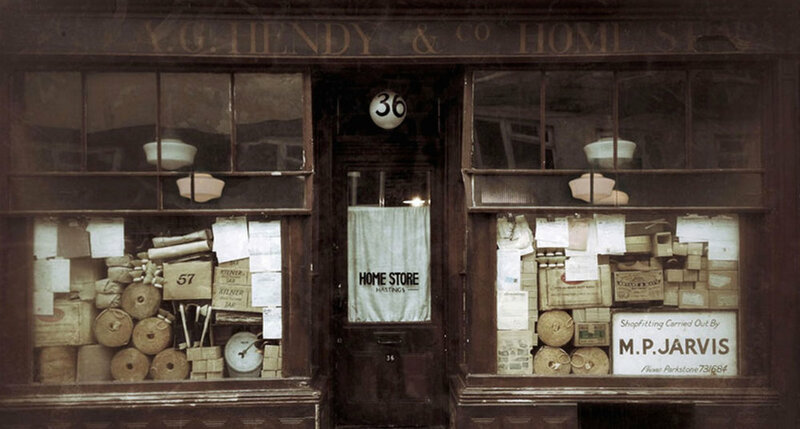 ), but because there is now an A. G. Hendy online store selling - among other things - the most stunning vintage vantiy case, showcased alongside linen towels, soaps, a myriad of grooming brushes (brushes are a speciality of Alastair's: do explore the others, too - complete with 'Handy Hints'). You'll find the 'beauty' items in the WASHROOM section - and honestly, it's a website like no other. Can't recommend too highly a good old mooch around.